You’re snowed in, right? Not at work. At home messing around on the Internet like the rest of us. Well then Friend Request Carol Porter now on Facebook, because that’s where the Georgia political action is – on Porter’s personal Facebook Wall. Today she calls Jim Galloway of AJC’s Political Insider blog onto the carpet to answer to her… at the same time pointing out what a little tyrant Casey Cagle was during the bed tax brewhaha last year in the legislature. All in less than 400 words or so! Honestly, I’m so interested in mostly media brewhahas I can’t even recall now if the hospital (*bed*) tax fee passed or not. Silly me. 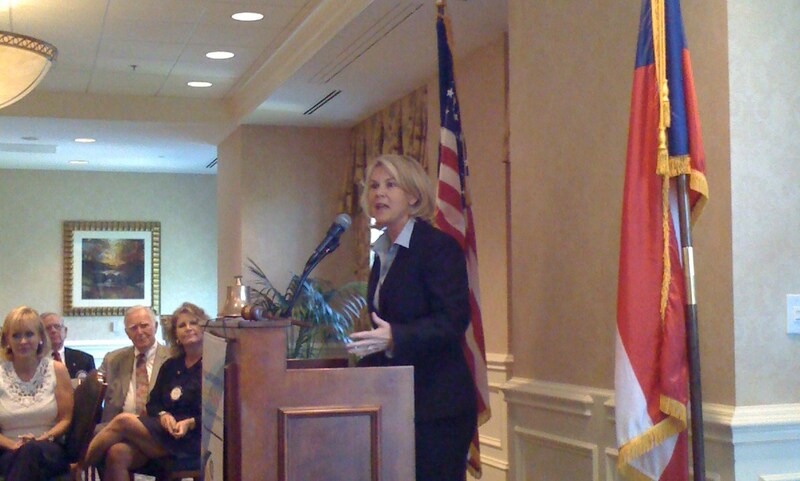 Carol Porter is a force to be reckoned with, no matter what the outcome of her Lt. Gov bid last November. She is driving majority opposition, and a whole lot of other agendas too as we all get a slow start to the 2011 General Assembly session. But there’s plenty of online action to be had. Come to think about it, Porter’s such a Georgia politics bulldog I’m going to add her as an entire category here. Consider yourselves warned!